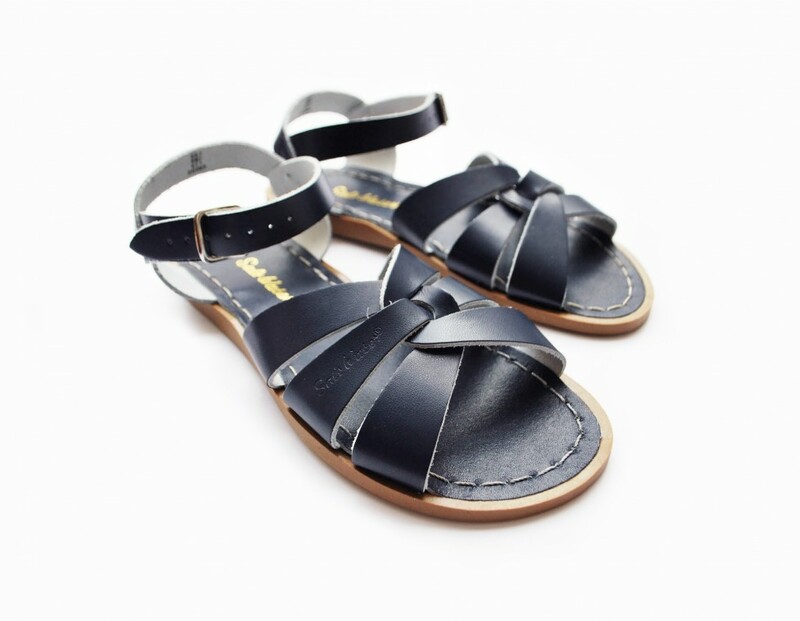 Last week, my first ever pair of Salt-Water sandals arrived. I know, I know, some of you have been telling me about the wonders of these shoes for a while now, but this is the first time I have tried them out for myself. 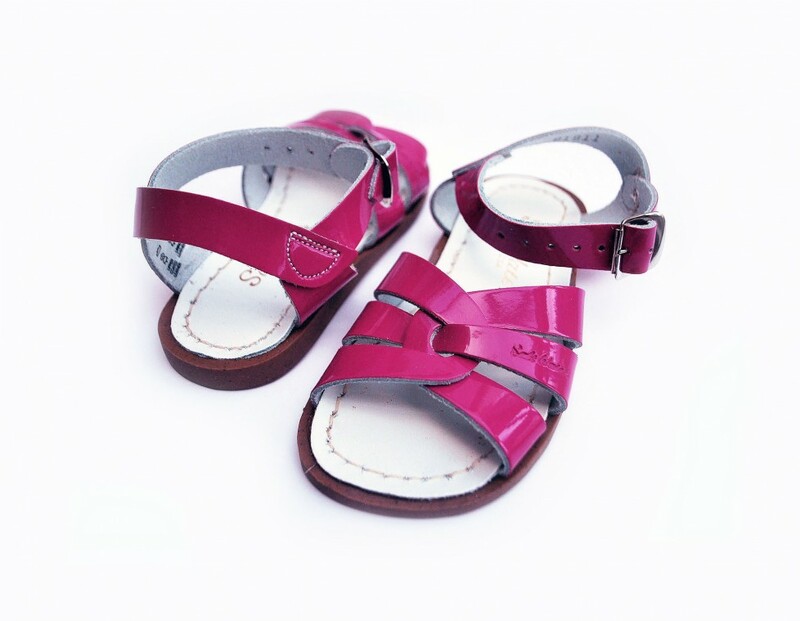 The joy of these sandals, for those of you that don’t already know, is that even though they are made of leather, they are totally waterproof. And if you swim in the sea as much as I do, this is a fabulous feature. Not only that, they are super-comfortable. 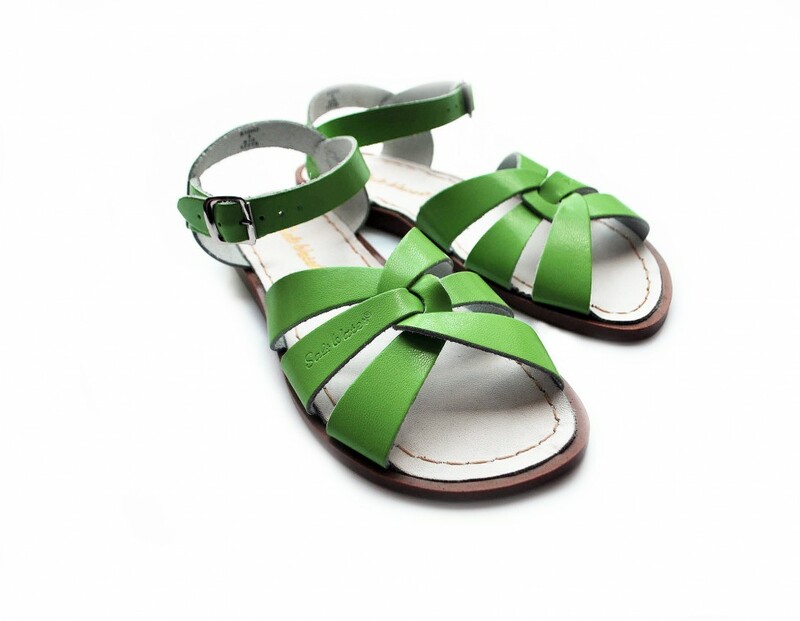 I walked miles in them on the Isle of Wight this weekend and I didn’t get one blister, even in the sweltering heat (I always find hot weather makes my shoes rub, don’t you?). They also come in a massive range of cool colours and both matt and patent finishes. TOP TIP: Salt-Water have funny sizes, and I would advise buying one size bigger than you would usually in a UK size. So even though I wear a 4, I fit a 5 well in Salt-Water sizes. If you’re planning on investing in a pair, I’d snap them up quick! 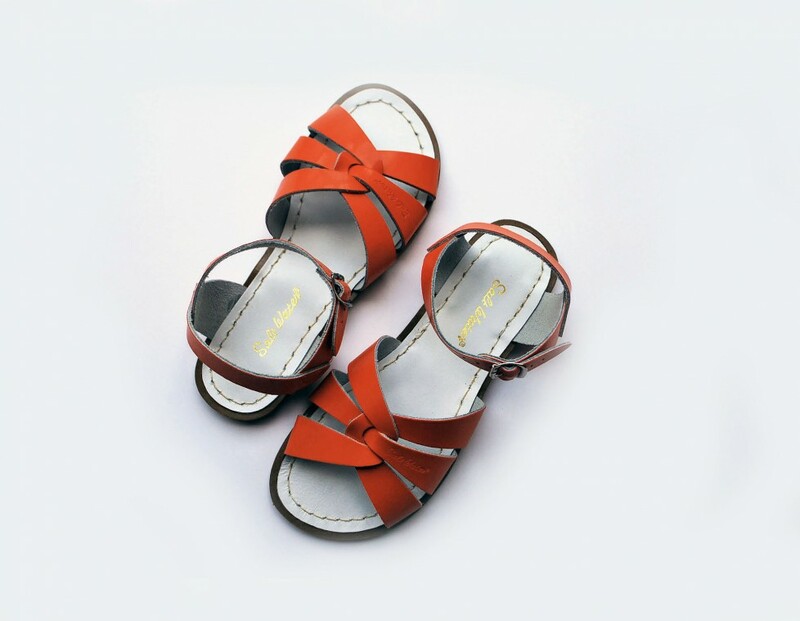 Toast stocks them but always sells out really quickly, so your best bet now is sunsansandals.co.uk where you can search by size. 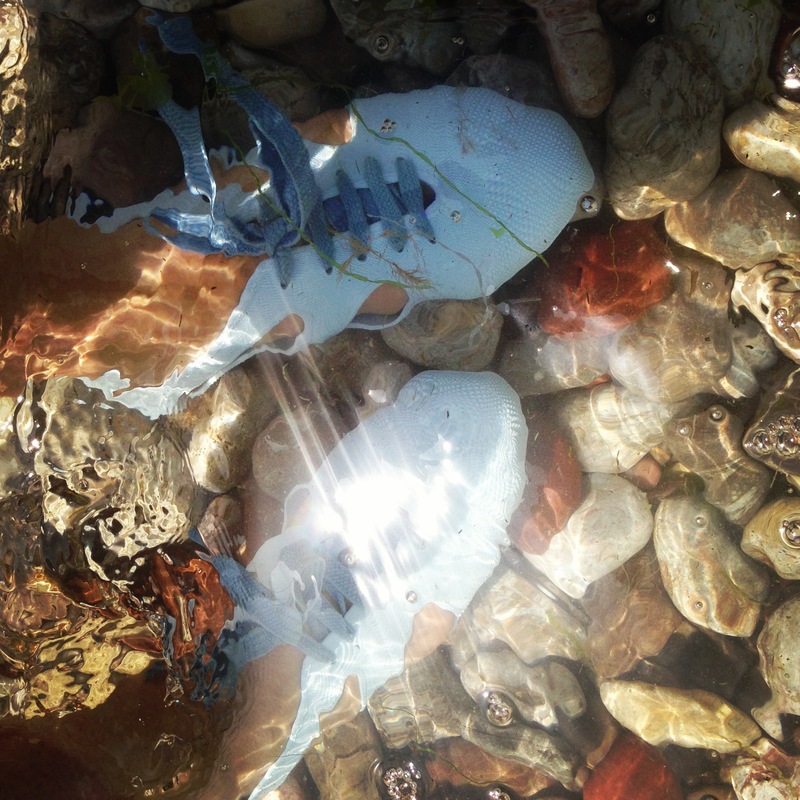 And while we’re on the subject of shoes you can wear in the sea, here’s a brilliant picture from En Brogue friend Chloe of her F-Troupe rubber shoes in the sea (a fellow brave UK sea swimmer!). 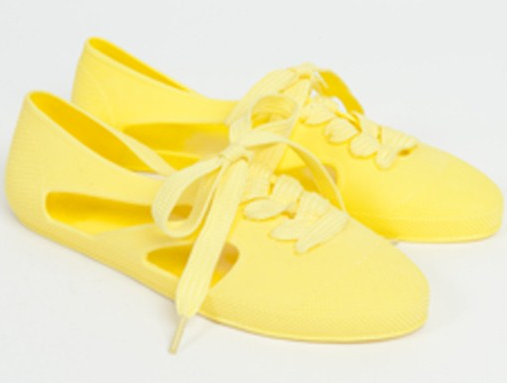 I think they’re super-cute, and at £25 are an absolute bargain! We swam off Skye yesterday in the boiling sun but the beach was coral and killed our feet. Could really have done with either of these lovely flats! I told you it would be hot there!! And yes, these would have been perfect. So…apparently the website has a bit of a blip earlier so you wouldn’t have been the only one experiencing problems. If you try again now it should be OK. Finally, another one like me!!!! Oh, I’m so relieved that another girl loves heel-less shoes – and by that, I don’t mean the McQueen “skyscrapers” of Daphne Guiness! I had the back and footpain for years because of my obsession that heels are “the thing”, but after a -luckily!- minor body-betrayal I finally committed to flat shoes (and occasionally minimum-height platforms).